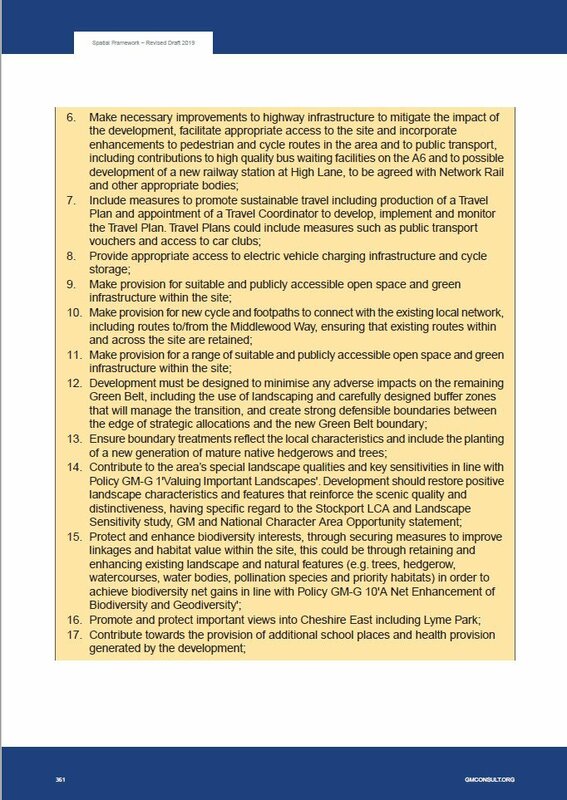 The consultation for the revised GMSF is now open and closes on 18 March. 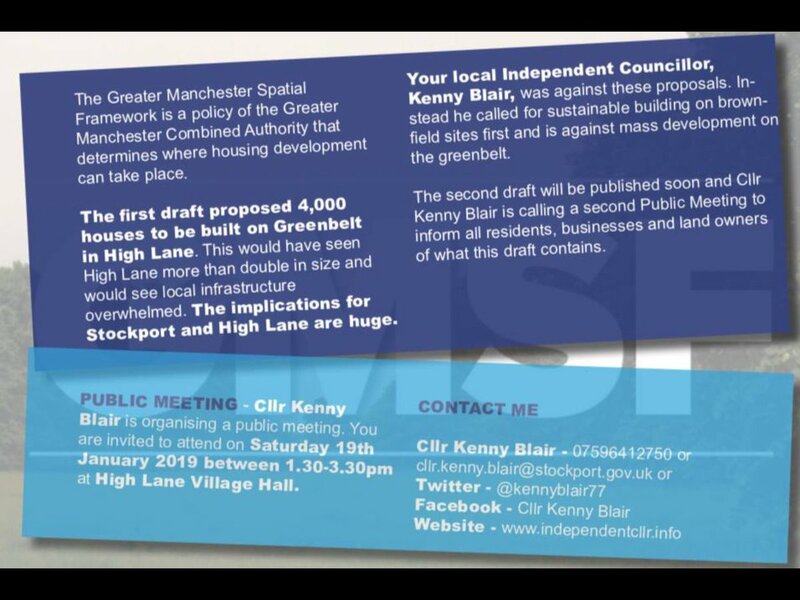 A meeting has been arranged by Marple South and High Lane Councillor @CllrKennyBlair to discuss the Revised GMSF. It's on Saturday 19 January 1.30pm - 3.30pm at High Lane Village Hall. 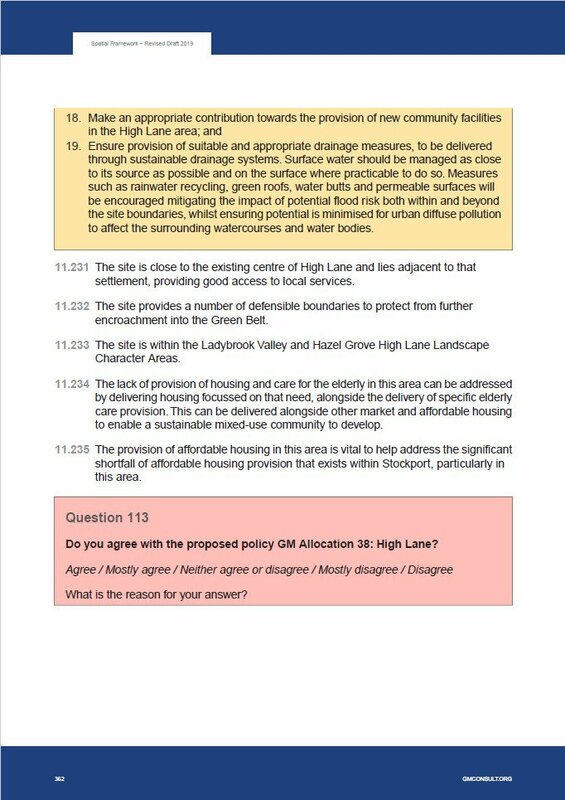 The proposal for 4,000 houses at High Lane has been reduced to 500. 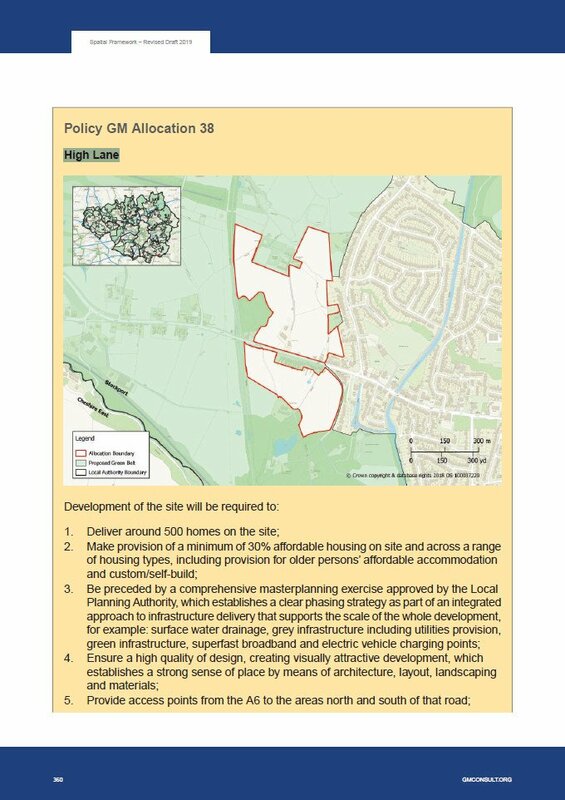 New sites at the former Offerton High School and Hyde Bank Meadows in Romiley have been suggested for housing. With the previous issue there was a map that you could use to see the land allocations but I can't find anything similar this time and it appears that you have to flog through a 1,134 page report!